When you choose to dive for three or more days we offer a package rate that lowers the cost of our already low two tank dive. 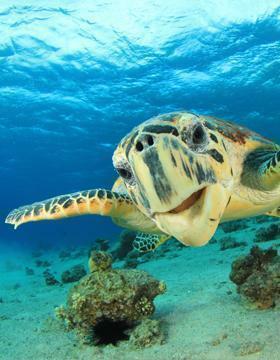 Our five day dive package is the most popular package we offer. There is no prepayment required! 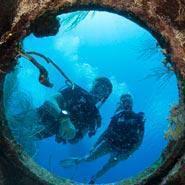 Just reserve 5 or more days of 2 tank boat dives and you automatically get the package price for all your dives. Feel free to mix and match morning and afternoon trips! You can opt for this package price at any time. 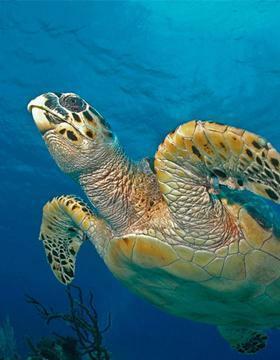 If you are on island and add an additional day of diving you are automatically charged our package rate. 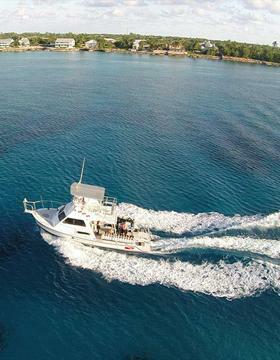 Our five day dive package includes complimentary transfers to the boat from your hotel or condo on Seven Mile Beach/West Bay Rd, two awesome dives on board our purpose built dive boats, towels, fresh water, snacks, tanks, weights. 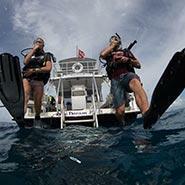 We also offer complimentary mask, snorkel, fins, wetsuits and dive computers with any dive package. 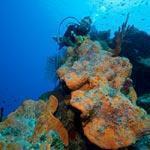 All our dives are weather dependent and sites are selected on the day. 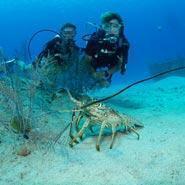 On Grand Cayman we are lucky to have three sides to dive. This means that when the weather is inclement on one side we move to the leeward / calm side. 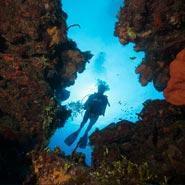 We have over 200 dive sites to choose from. Our first priory is to select calm water. 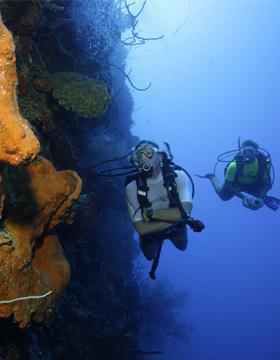 Then we use our years of Cayman Diving experience to pick the best site on the day based on the best visibility, no current and no other boats around. No sites are reserved or selected ahead of time. 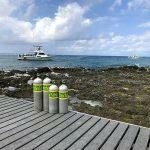 If you are diving multiple days with us on a package we will make sure to not repeat any dive site, unless you request it! We aim to make our reservation process as easy as possible. 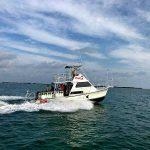 When you reserve with Liz, just let her know the days and times you wish to dive from our availability. Our BCD and Regulator combo is not included in our packages but is available for rental on all trips. Let Liz know what you need and she will make it happen! 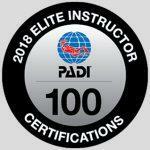 All you need is a current dive certification and we will take care of the rest. 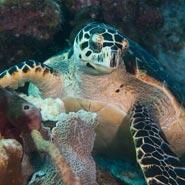 Reservation: reserve your Cayman Islands dive trip today, contact us! 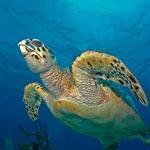 Get Nitrox Certified In Cayman! © Living The Dream Divers 2019 All Rights Reserved.